371 Blink Bonnie - Prince's Grant Accommodation. 371 Blink Bonnie is a spacious and extremely private self-catering house, located on the 3rd hole of the exclusive and secure Prince's Grant Golf Estate, which is rated among the best in South Africa. 371 Blink Bonnie can accommodate up to ten guests and comprises five bedrooms, four bathrooms, a kitchen, lounge, bar, two balconies, and a pool area. Four of the rooms are en suite, and each contain a king-size bed. The fifth bedroom contains two queen-size beds for kids. Two of the rooms feature air-conditioning, and there are fans throughout. The house also has two golf carts for guests use. 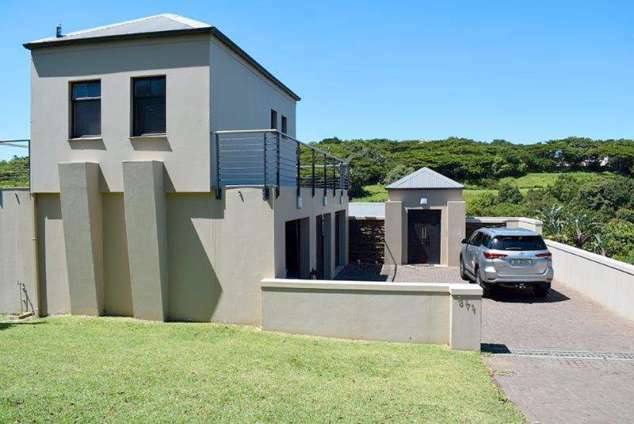 The property has full DSTV, braai facilities, golfing, fishing and hiking. Prince's Grant Golf Estate is located within walking distance of the beach. Other facilities available on the estate include a secure beach and lagoon area, swimming pool, squash and tennis courts, and a clubhouse. 5386 page views since 27 Sep, 2016.